Excuse me for interrupting your September early fall delirium, but I have to register a little complaint. Okay, three complaints. No, four. First the good things. Let’s see… it’s apple season, which is always pleasant, and as an added bonus modern life is so advanced that we now can get pumpkin flavoring in EVERYTHING…but I’m sure you’ve noticed that life is INTENSE. Anxiety-producing in the extreme, even. And there’s not a one of us who has the nerves we used to have. 1/ Take the election, for instance. Has there ever been a longer, more bizarre election season in the history of the known world? I’m a longtime Democrat, not to mention a woman, and like the rest of the Democrats and many of the other human women, I am alternately terrified and then confident that all will be well. I pretty much let Nate Silver, the polls guru, determine how I feel on any given day. Which is not all that good, since he’s being so cautious in his reading of the polls that I now can only peek at his predictions through my closed fingers, while screaming. 2/ And then there are the Chicago Cubs. I know, I know. This is BASEBALL. It is a SPORT, for FUN. But guys, the Cubs have not won a World Series in over a century! And this year, for the first time in something like 90 years, they have the Best Record in Baseball, the best of all the teams! And it is their TURN to win. I don’t know why everybody doesn’t just get that. 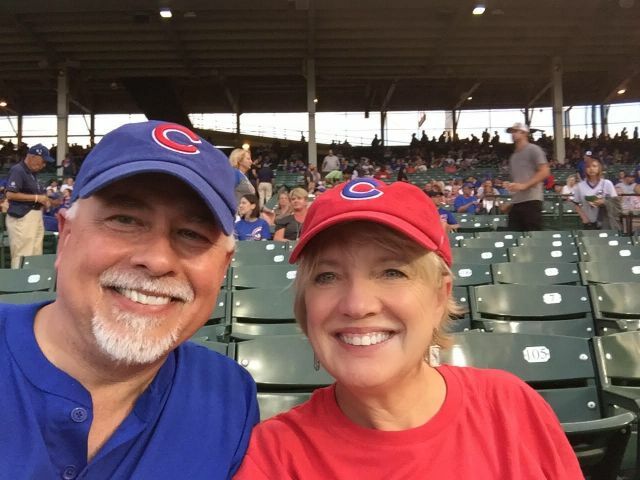 My husband and I went to a Cubs game at Wrigley Field last week, and it was like one of the high points of existence, especially since the Cubs won and everybody sitting near us was so happy and were dancing all around. But then I came home and found myself in a fight with some Red Sox fans, who were arguing that the Red Sox deserved to win the World Series and NOT the Cubs, because somebody named Big Papi was retiring. WHAT???? How could they not see the unfairness of that? I had to explain to them that the Red Sox have had their turn (two turns, in fact) and now it is absolutely the Cubs’ turn. It just is. These were nice people (hi, Chris and Ed!) and so they said it was okay with them if the Cubs win, but I think I saw them rolling their eyes in alarm as I was leaving. 3/ Then there’s this. In one month I have a book coming out. This is a good thing, of course, but it is also an anxiety-producing moment, if one lets it be, and apparently I am letting it. Will anyone like this book? Will it be the first book in America to have exactly zero readers–or maybe one or two, who misunderstand what I meant to say and yell at me in print? 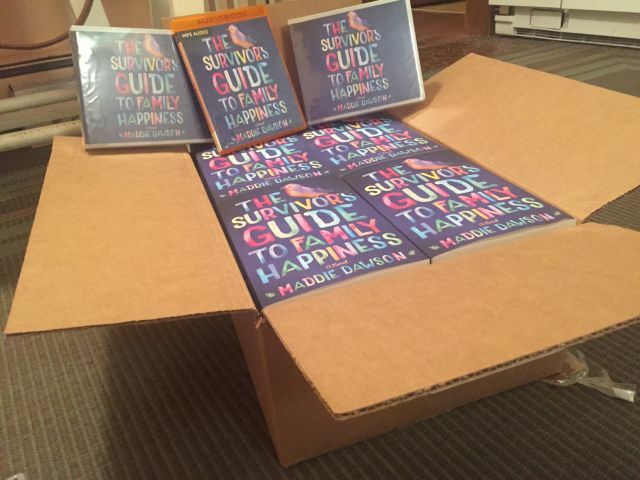 (One reviewer years ago gave my book a one-star review because the box was torn when it arrived on her doorstep.) A person gets twitchy when a book is about to come out. It’s a bit like sending a little child out into the world, and worrying that people will be mean to it, or say “meh” about the scene that it killed you to write because it was so true in your life and cut so close to the bone. “Meh,” they might say. And you know that you will get over it–but you also know you might have to go live under the bed for a little while, or stay in your pajamas and play a lot of solitaire and read the want ads to see for sure that there’s no job you’d like better than author–but you WILL be okay. Even if you’re not great for a while. 4/ Oh, and there’s another book due. Soon. And that’s a good thing, too! I spent today writing it, sitting on my porch in my pajamas all day, in fact, listening to the birds chirping and the wind blowing the leaves around, and the whole world had that snap, snap, snap to it that means it’s a delightful fall. The bluest skies, the brightest sun so low in the sky now–it’s glorious. I had a basket of apples in the kitchen. And, well, Hillary did well in the debate, and…and…the Cubs won their 100th game last night by double digits, and I wrote a new scene I liked…and then in the mail came this–the REALLY REAL books–and audiobooks!!! I tell you, I had to fan myself to keep from falling over in a heap. Not a single “meh” in the review. After that, because the universe was now showing off a bit, an hour later I got another email that said that a site called Romantic Times was calling this a book that book clubs would love because of its compelling characters and examination of family in all its forms and fashions. and tell me why you want the book. And if you wanted to mosey over to Facebook and “like” my Maddie Dawson author page at https://www.facebook.com/maddiedawsonauthor/, why, I’d be so happy that I would enter you twice. Just let me know in the email that you did that since I might not be able to figure it out otherwise. I’ll have my sweet little granddaughter choose two random numbers and I’ll give away two signed books! And then I’m going to go off and learn how to meditate. And maybe make an apple pie.